A magazine editor with fresh, bright, and confident style. Shades of pink can easily look overwhelming, but Issa has one simple trick: wear your berries in sleek silhouettes. Whether a slimming pencil skirt, crease-front cigarette pant, or angular midi skirt, she grounds the color with sleek and straight lines. She also selects only one item of clothing in that shade, then pairs it with wholly neutral colors (black, white, gray, and brown). She also tends to wear them on the bottom, for a fun, unexpected pop. A classic trench coat is a wardrobe staple, but Issa breathes new life into the workhorse. 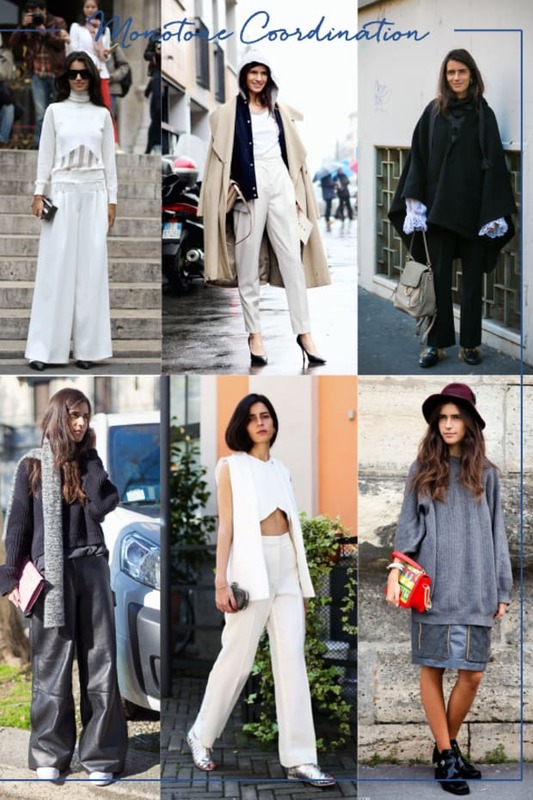 It&apos;s easy to see that she builds her outfits around them, rather than throwing on a trench as an after-thought. 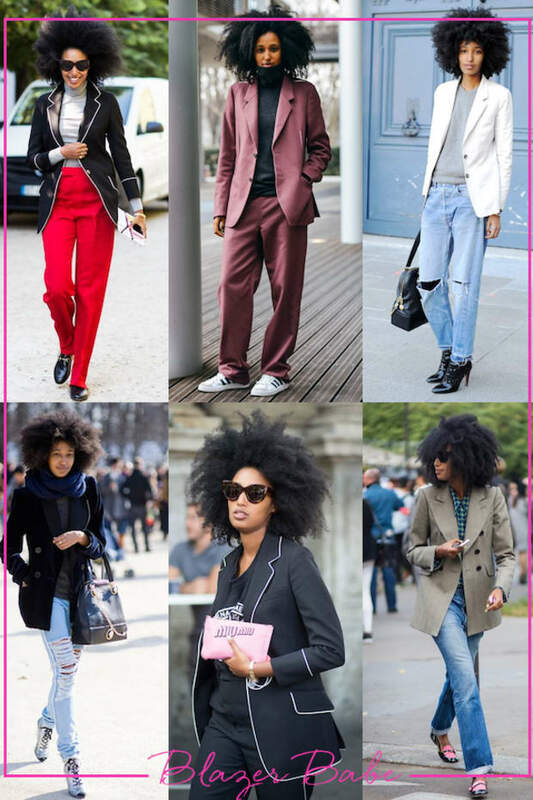 To borrow her look, we recommend wearing a monochrome base under a bold trench (as she does in several of these images) to give it top billing. 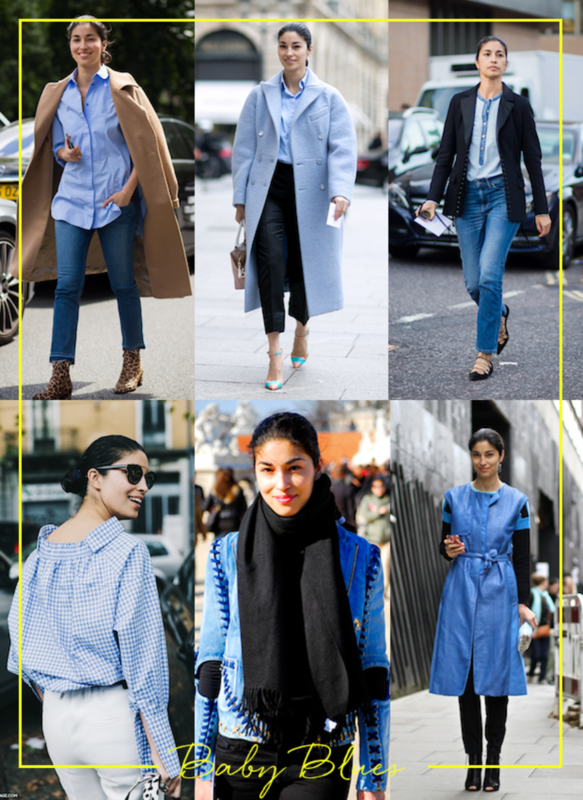 Blue is as close to a "neutral" as you can get while still being colorful. 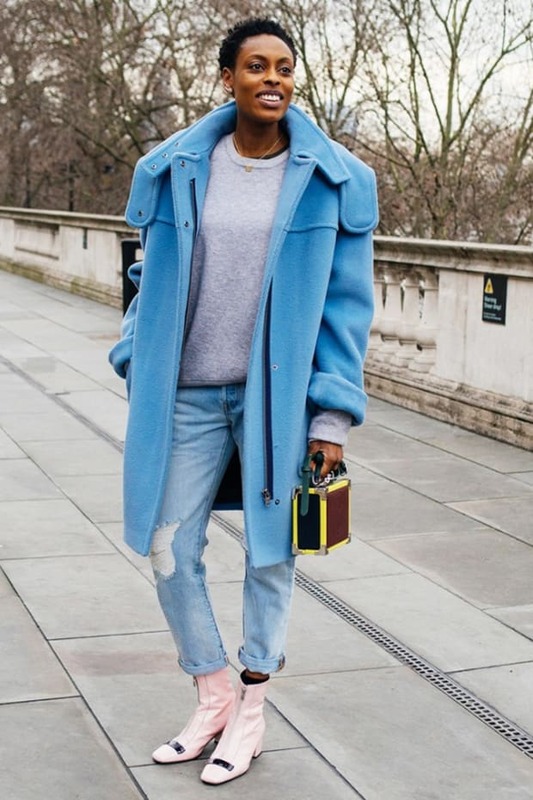 Issa knows this and plays up the shade by pairing baby blue pieces with similarly-hued denim, and layering blue against black to make the subtle shade pop. 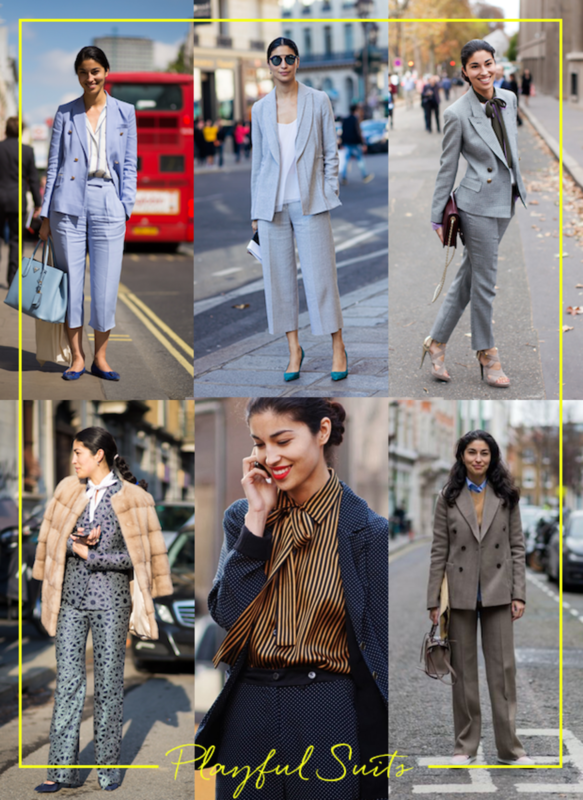 Our favorite look is the outfit in the top left—we love how she layers the blues, then uses the camel trench for contrast and ties it into the cheetah-print shoes. It&apos;s casual, but intentional. We already know that a full skirt is a fast-track to a flirty, feminine look—but Issa proves that it&apos;s fun to play with length as well. While the midi-skirts are more sophisticated and retro, we love the playfulness of the above-the-knee options, which is a length we&apos;d normally expect from an A-line. 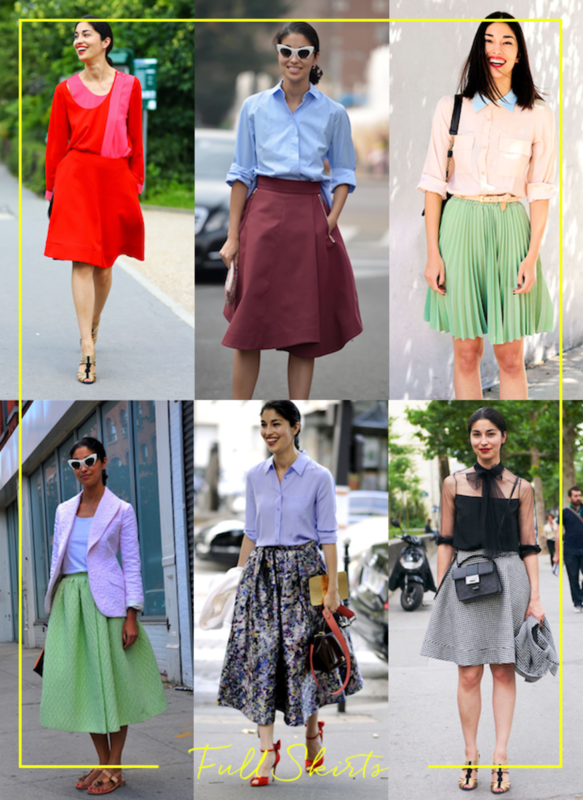 Of note: she almost always pairs the full skirts with crisp button-down oxford shirts for a masculine-meets-feminine ensemble. Nearly every Style Breakdown we&apos;ve published has a "pop of red" category, but Issa takes it to the next level, layering red over red, pairing a red dress with red shoes, and wearing a red lip with a brick blouse. It exudes confidence and inspires us to take more risk. 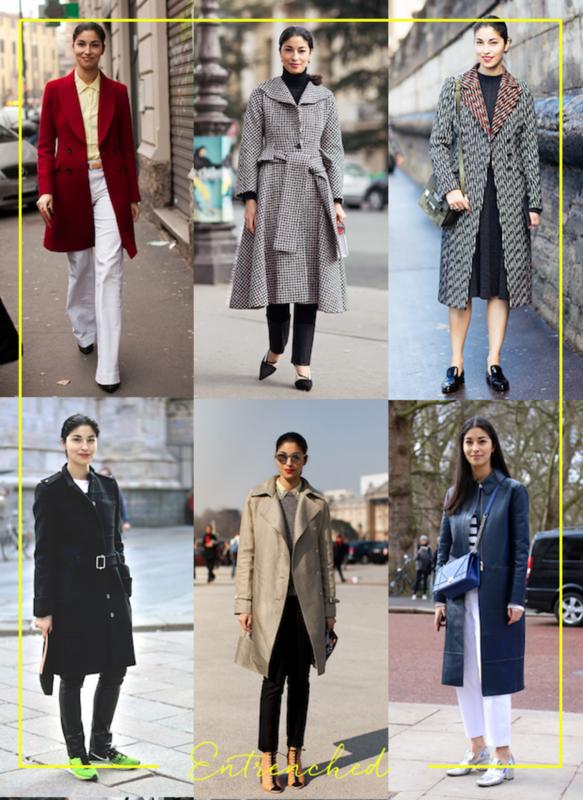 Every single outfit in this mix has a unique element—a playful bow "tie," a textured and tiered camel coat, an eye-catching print, or a cropped pant. For an outfit where the two main components—the jacket and pants—are predetermined, Issa&apos;s creative additions take the classic suit to a new, but still classic-looking place. 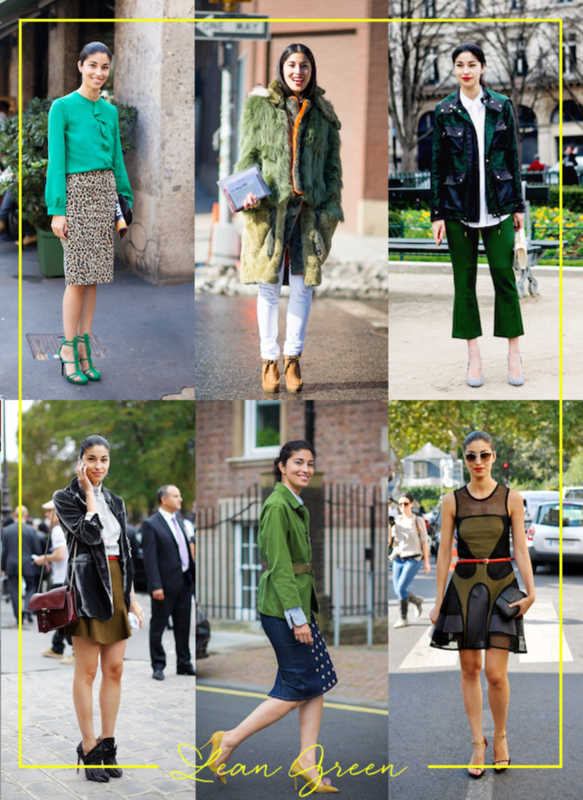 Issa&apos;s experimentations with shades of green prove what a versatile color it is, from clean Kelly green to a more brown-ish army color. 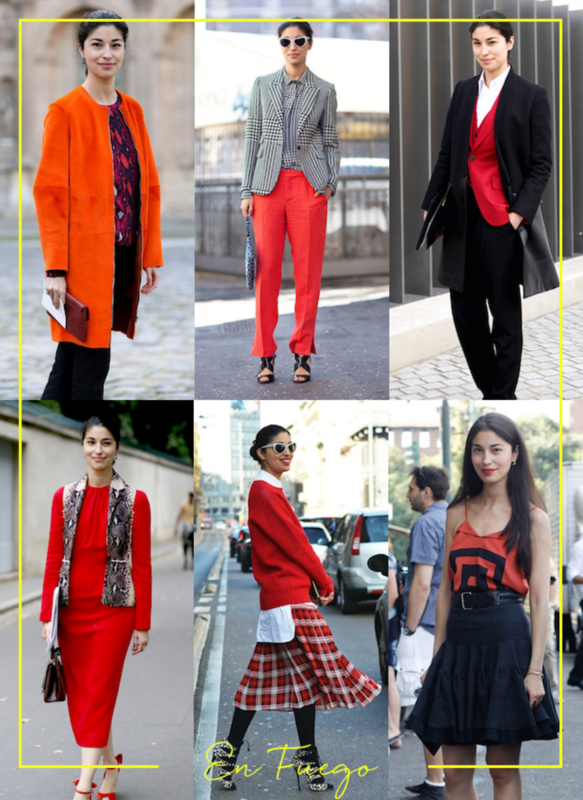 We especially love the slim pop of red she pairs in both of the green-brown looks (bottom left and right), and the double dose of green that she embraces in the top three looks.